Electronic web guide traction device. 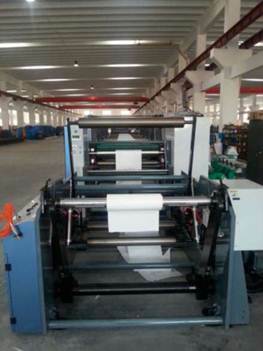 If there is any excursion in paper feeding,the system will have a constant and accurate adjustment. 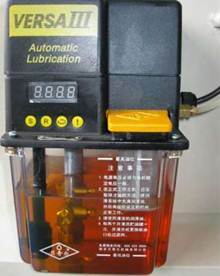 The former tension unit is made of alloy and cast iron, thickness is 65mm, which guarantees the stable of machine. 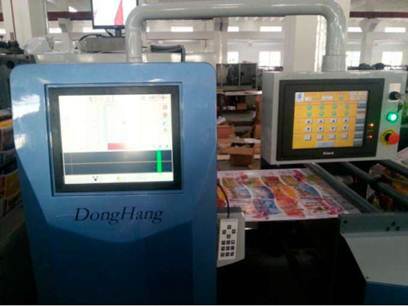 The machine board is made of alloy and cast iron of 65mm, which improves the stable performance and durability of the press machine. 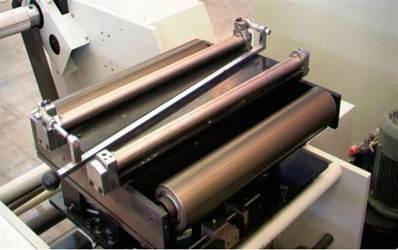 5 plate rollers (the printing repeat length at customer's need). 5 high precision Ceramic anilox rollers (LPI is at customer's need). 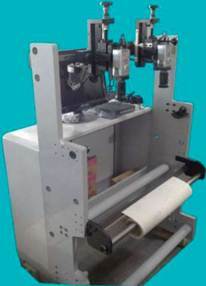 Manual horizontal registration with macro regulating plate rollers. Single reverse doctor blade system. 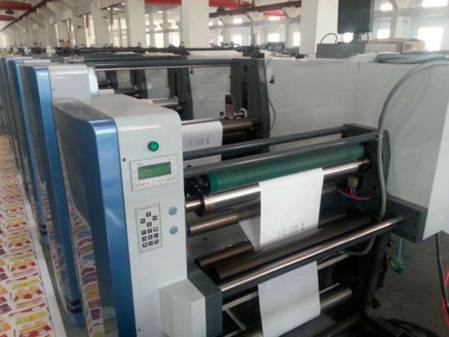 Anilox rollers and ink trays adopt pneumatic slip system Linear Guide way which can quit automatically and quickly change the anilox rollers. 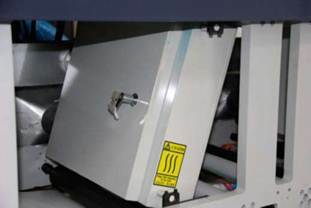 Quickly replacement of plate cylinder and stainless steel tank without any tools Automatic plate cleaning: every time when the machine stops and the anilox roll releases from the pressure, the plate cylinder continues to run 1.5 seconds and transfers the ink on the plate to paper, so as to maintain the plate clean. 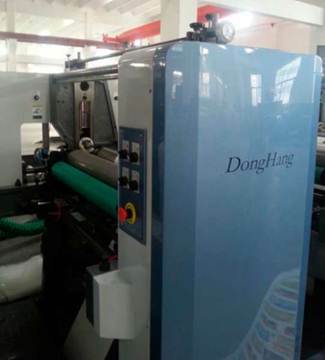 Anilox micro-lens adjustment device can ensure the pressure between anilox and printing rollers. I.R short-wave heating and drying system, and temperature is adjustable. 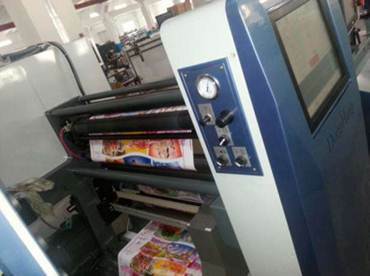 It can magnify and observe the image with a fixed position to guarantee the printing quality. 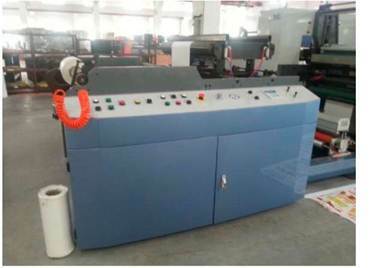 Rewinding unit diameter is 1524mm Pneumatic mandrel unit diameter 3"
When the paper is broken or cracked, the machine will stop automatically.